Content marketing is only growing in popularity and efficacy for businesses all over the world. But there are barriers to success that you must strategize against if you want your content to excel. Below, we’ll take a look at the most important challenges to tackle when approaching your content, and how to vault over them with minimal expense and time. Ideation, which is the creation of good ideas for content pieces, is one of the biggest hurdles for a business as it begins in online marketing. Far too many marketers have come up with something they think their audience will like, but only on a hunch or intuition, not research. Coming up with the right idea is like bringing the right tools to change a tire. The more things you didn’t take into account, the more difficult, or even impossible, it’s going to be to get a return on investment. The easiest way to come up with ideas is by studying your audience on social media or by asking them, but people don’t really know what they want. You’ll need to get creative on your own, and that’s where a style guide comes in. It may seem counterintuitive, but when you impose limits, you make it easier for people to come up with ideas that fit the bill. Come up with a style guide for your content that’s detailed, not too restrictive, and that is based around the objectives of the campaign. This is important for whoever comes up with the ideas, because when you have clearly outlined limits, such as “brief, funny, or surprising and lighthearted news stories to brighten up someone’s day”, whoever is in charge of ideation will be able to focus their research and come up with more content. Do research on your audience, definitely, but use that to come up with a style guide and clear ideation objectives. It’s generally a good idea to go wide with your content marketing campaign, creating not just, say, blog posts, but also guest articles on other sites, videos, infographics, or whatever else seems viable for you. However, most business owners and marketers will hesitate to branch out, because it seems like a lot more work. It doesn’t have to be, though. The best way to create content in multiple formats and platforms is by re-purposing the same thing for each format. Got a great blog post? Make it into a simple, presentation-style video. Use the assets from that to create an infographic. 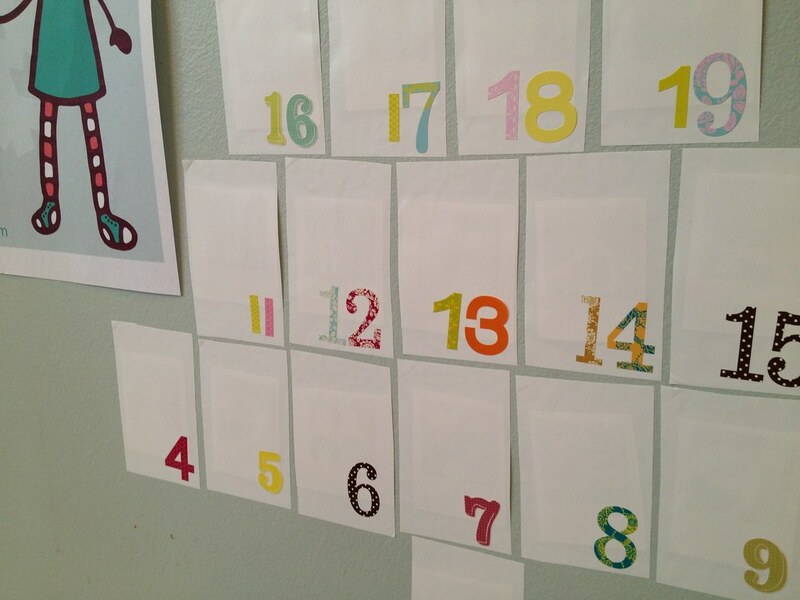 You can also create content that invites repetition. For example, say a marketing firm releases a blog post with some interesting information about surveyed millennials. They can post again a week or so later with an update to that post, drawing return traffic from those who enjoyed the first one and who are curious to see if any new insights were gained. With a few clever tactics, you can continue to make valuable content that drives conversions and sales, only in multiple channels for maximum reach. This strategy is probably not the best for smaller businesses that are just starting out, with limited experience and funds for making content, but once you get the hang of it, it’ll be worthwhile to broaden your content’s accessibility. Why is a schedule and content calendar so important for your content? For one thing, it helps maintain a professional look, but it also helps your audience understand the best times to check in with you. If they know that you release a blog post every Wednesday, for instance, you can expect a far better initial spike of visits with every published piece. Don’t let your system be something so basic as making content within the same week that you release it to the world. Any business that does this will face burnout and overwhelm at the first stumble. Instead, build a backlog of finished, ready content that will be released gradually over time, so that you always have a buffer of finished work for the next few months, and you can continually add more and plan ahead for the future months. The other advantage of having a backlog and a clear schedule is that it leaves you open to working on any opportunity that presents itself for hot, time-sensitive content. Imagine a local business sees an interesting parade is happening, and that their demographic will be attending. They can focus on immediately releasing a piece of content valuable to these people, such as a guide on what to see at the parade. Nothing else is needed finished in that exact week, so these occasional excursions into trending content won’t feel stressful. In such a grand arena as the internet, your business will face growing competitors with similar content. This is fundamentally what creates all the other top challenges: the fact that there are others out there working just as hard and as smartly as you are, or more so. The conventional wisdom is that your work needs to be the best among your niche in order to succeed. While that is important, it likely won’t save you by itself. Far too much brilliant, masterful content goes unseen these days. There is more to standing out than making content objectively good. The real secret is not just making great content, but being a great content maker. There is a crucial difference. Your audience needs to feel that you really “get them”, and everyone else isn’t quite on your level. Treat your audience like good friends, listening to them and asking for feedback. Learn insights from them directly on what your competition isn’t doing right, and use it to create virtually unbeatable content that leaves everyone else in the dust. There are many ways that content creation and marketing can go wrong. It’s sad but true that most businesses halfheartedly give content marketing a try and give up, usually because of challenges like this. 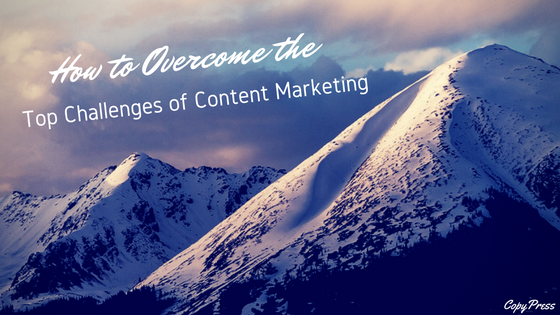 Approach the top challenges of content marketing not as daunting mountains to climb, but as the pieces of a treasure map. Put them together and you’ll discover the best strategy for your business, the one that circumvents the mountains and reaches profitability and notoriety.